Dialectical Behaviour Therapy (DBT) is a highly effective form of treatment for clients with Borderline Personality Disorder (BPD). However, many of these individuals have rarely developed life skills to build a proactive and responsive life versus a defensive and reactive one. 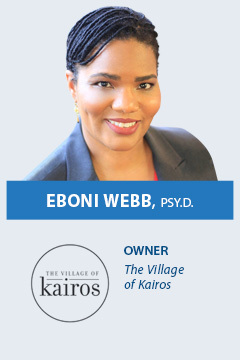 Dr. Eboni Webb will introduce a holistic approach to treatment and will expand on key concepts including skills acquisition, daily practice, and generalization. These skills are critical for our clients to develop an effective interdependent adult life. Dr. Webb will provide a brief discussion of DBT and its relationship to the Biosocial model, the neurological impact of trauma on the developing brain and how to address specific diagnoses via the skills. She will discuss the importance of integrating DBT skills at the earliest point of treatment and utilizing skills as a foundation for life.